Rena Lee is the Senior Applications Developer at the William and Flora Hewlett Foundation. She designs user interfaces and develops custom-built applications used by foundation staff. 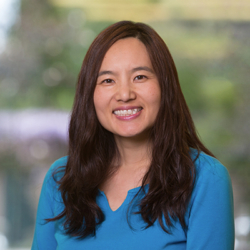 Previously, she was a senior software developer at Inxight Inc., a spin-off company from Xerox PARC, where she focused on developing data visualization software. Rena earned her B.A. in computer science from University of California, Berkeley.